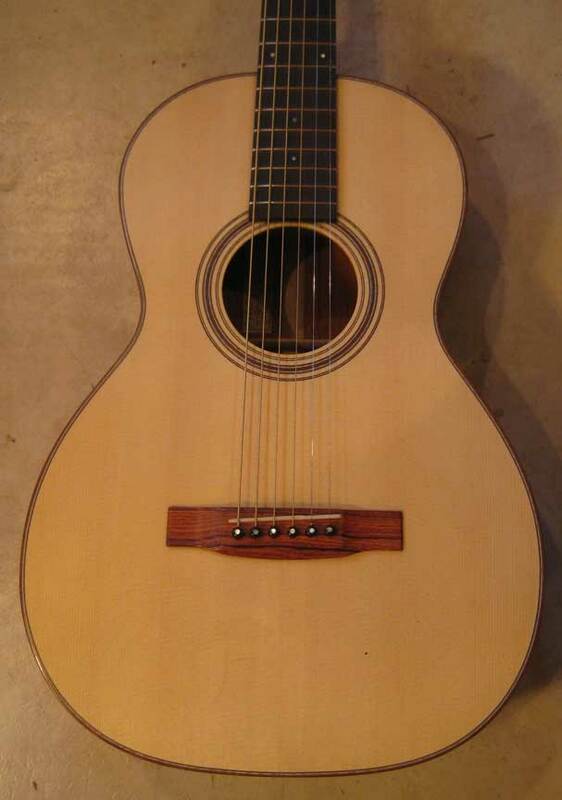 2009 Sexauer FT-0 flat-topguitar made from Western Big Leaf Maple and Sinker Redwood. Yet another Sexauer FT-0 in 2009! Italian Spruce over Pernambuco, Oil Varnish. This is my last Sexauer Guitar for 2009, and I was so thrilled by the last Pernambuco "0" I decided to make another on speculation. This is the first guiatr I have made from the latest batch of of Pernambuco I have acquired. The first set I got was of very high quality, and the next 2 scores were relatively degraded material, though they make fabulous guitars. This time I was lucky enough to find Pernambuco that not only has been properly cared for for the 30 years it was sitting around, but also is extremely close to perfectly quarter-sawn. 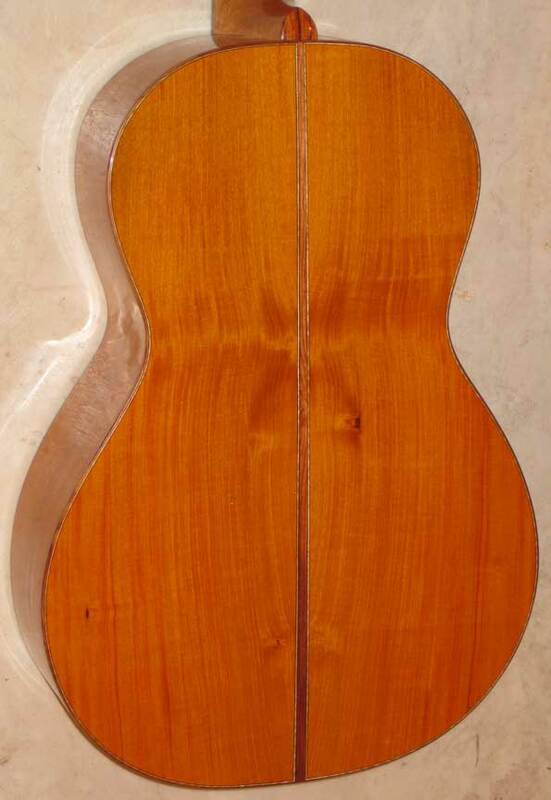 This shouldn't be possible as the tree is said to be too small to make quartered 2 piece guitar backs, yet here it is! Tonally, this seems to be the best Pernambuco yet. Pernambuco's signiture sound seems to be incredble clarity, as bright as can be yet in no way harsh. I liken it to the tone of a great bell. This particular guitar has power vastly in excess of it's size. It is hard to believe it is an "0" when you play it. 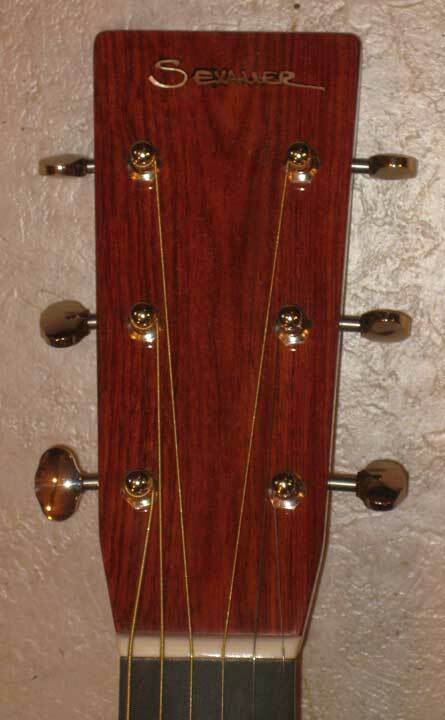 I used Cambodian Rosewood for the binding, the head plate, and the bridge. The fingerboard is Ebony bound Ebony.